Podcasts are the buzz of the media world. But there is only ONE leader. PodcastOne's shows include Adam Carolla, Shaquille O'Neal, Dr. Drew, Penn Jillette, Steve Austin, Kaitlyn Bristowe, Eddie Trunk, Heather Dubrow, Dan Patrick, Ross Tucker, Rich Eisen, Jordan Harbinger, Jay Mohr, Norman Lear, Laura Ingraham and a whole lot more. Learn more about PodcastOne and our Podcast Network. 47% of PodcastOne listeners "strongly agree" that they pay more attention to podcast advertising than advertising on broadcast radio. 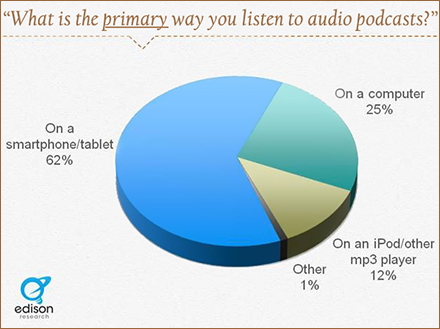 62% primarily listen on a mobile device. Adults 25-44 make up 61% of listeners. 35% of listeners make more than $75k annually, above the U.S. average. Why should I begin podcast advertising with PodcastOne? PodcastOne's 200 podcasts deliver more than 400 million monthly impressions for advertisers. But these aren't typical impressions. Podcasting is active engagement. The listener has already performed a positive action just by listening, and are very likely to react to what these hosts they've built trust in, tell them to. Network podcasts have a maximum of four advertisements in any given hour, which limits commercial clutter. The network offers recorded and live host endorsements for our highly targetable audience, and can integrate their brand into the content of the show. Segment topics can even revolve around brands. PodcastOne's Ad Insertion technology allows geo-targeting and copy-split capabilities, as well as facilitation of time sensitive campaigns. Plus, complementing visual integration is available in a sponsorship splash, ad banner, or forced video ad. Podcast network ads are measurable with accurate metrics.  Every download is tracked in our metrics and third party verification re-confirms that your spots were heard. Know how many people hear your spot every time a podcast is downloaded, with raw download data from Edgecast, quantitative and qualitative data from Edison Research, and digital ad injection and verification by WideOrbit. Consumers increasingly demand entertainment where and when they choose, and PodcastOne's multiplatform and mobile engagement make it easy. Listeners can access content from a desktop, tablet and mobile website, plus PodcastOne's app (available for both Apple and Android products). And no matter where listeners access the content, from PodcastOne, social media, a host's website and even iTunes, your brand message is delivered. PodcastOne also has a unique and proven model, 40 years in the making. PodcastOne founder Norm Pattiz also founded network radio-giant Westwood One 40 years ago, as one of the first modern radio syndicators. He developed Westwood One into a multi-billion dollar company. PodcastOne was founded just three short years ago and it has become the leader in the on-demand digital audio space. What are you waiting for?